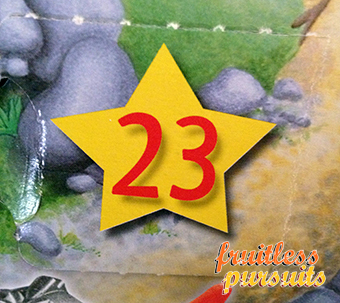 Fruitless Pursuits: Game of Thrones Playmobil Advent Calendar Day 23: Getting It Off Our Chest! 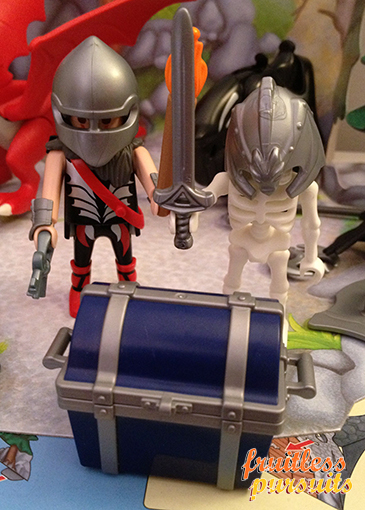 Game of Thrones Playmobil Advent Calendar Day 23: Getting It Off Our Chest! It is the penultimate day of the epic Game of Thrones inspired Playmobil Advent Calendar! The wicked Sir Dudley of Moore was ravaged by the summoned dragon and the victorious Mad Gary Targaryen gained access to the Keep! It was there where he found the restless spirit of skeleton midget, Peck Pussywillow, and they began to roam the castle's tunnels. What exciting crap did they find? See it all when we open Door #23... after the jump! It's some sort of enticing, yet ominous, and a little bit battered, chest! 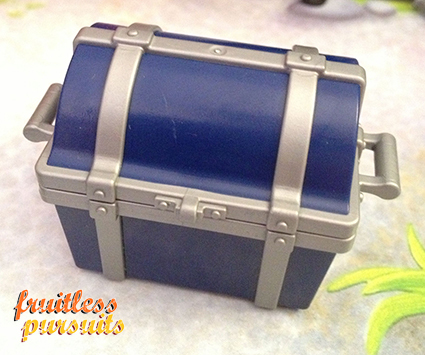 A treasure chest!? Could be! Although the fact that it's blue makes me thing that it might be full of ice and beer. EITHER WAY IS A WIN, right? Look at their little faces light up! Well, providing you conveniently ignore the fact that Gary's face is entombed in an iron helm and Peck doesn't even have any skin. Still, it's the happiest I think we've seen them! So the big question is, what is inside the chest? What reward do we get at the end of our quest? Gold? Magic items? An ice cold beer? OH MAN, YOU'RE GOING TO HAVE TO TUNE IN TOMORROW TO FIND OUT!